Description: The PRO FOG-1000 is a professional smoke machine. 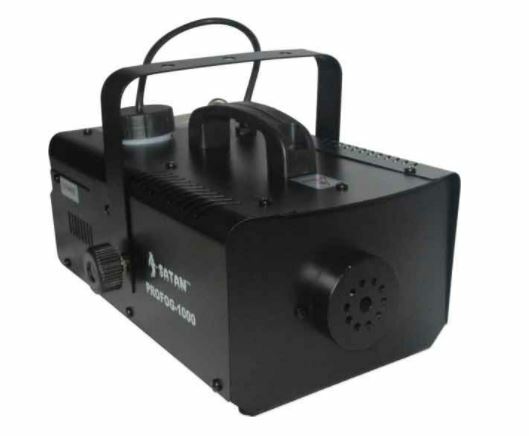 The PRO FOG-1000 is a professional smoke machine, Using a square durable heater and heavier body, it is suitable for medium and large venues and it incorporates heat pipe which adopts advanced titanium and aluminum alloy technique that makes the machine durable and not easy to get air-logged. High Output Fog Machine provides continuous flow of dense fog.